Destined to please your crowd, no matter the size or sensibility, SuperGames is an innovative Ohio event planning company providing fun and interactive activities for outdoor and indoor private or public events. We bring people together to share fun, positive experiences. With a focus on special events and team building, SuperGames offers the best activities, staffing and service in the industry! Whether you are planning a company picnic, festival, party or team building event, our skilled event planning team will ensure every part of the event goes smoothly. SuperGames has the most innovative activities in the industry! 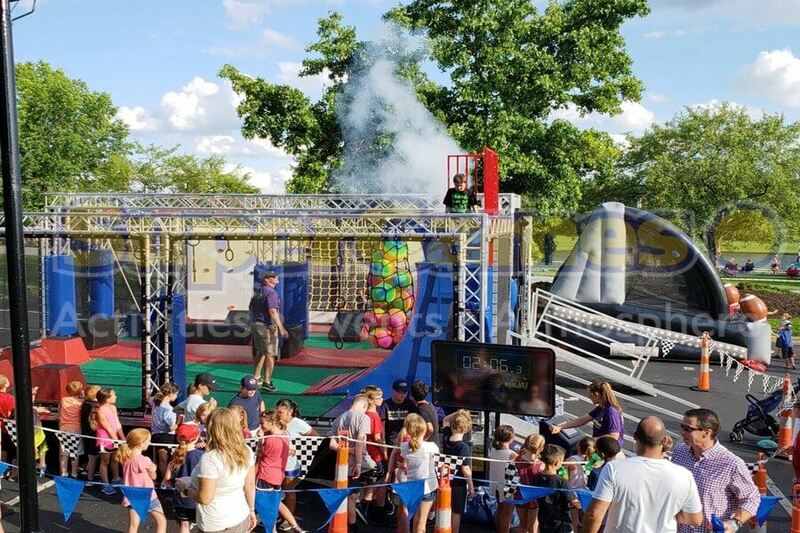 Our unique options include a portable zipline, inflatable bounces and interactive obstacle courses, as well as carnival games, balloon artists and petting zoos. We can even help clients select a caterer and scout the perfect location. In short, we have everything you need to make your next gathering an unforgettable experience. SuperGames serves all of Ohio and surrounding regions, including Columbus, Cleveland, Akron, Cincinnati and Dayton.